Home >Magento Wholesale Tips: How to Get The Best Outcome? 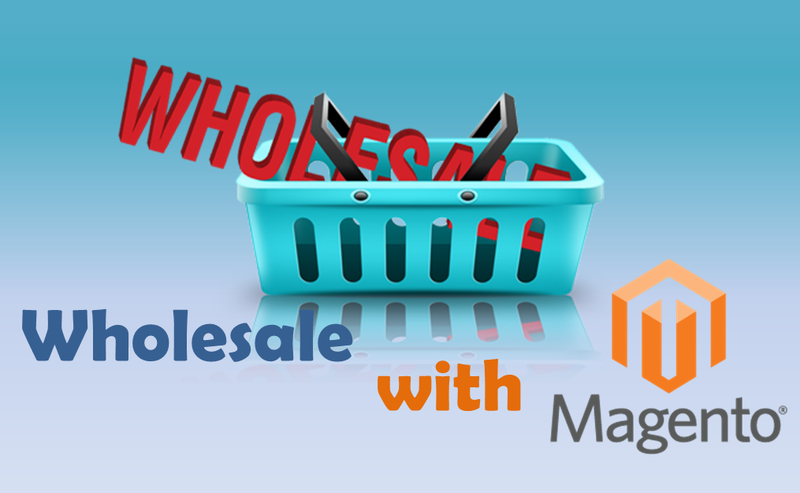 Magento Wholesale Tips: How to Get The Best Outcome? E-commerce Wholesale is a way of transaction that brings enormous benefits for both buyer and seller. To do business efficiently in the eCommerce market, your site needs a proper platform. Magento platform is designed with some useful features which support B2B eCommerce effectively. As a Magento wholesale supplier, you should take advantage of this kind of selling to enhance your sale performance. Your revenue will climb dramatically, and your store will be more popular in the Magento marketplace. Wholesale selling must be conducted in different ways than traditional commerce, some of which will be introduced below. To achieve maximum benefit, you need to consider them. Customer groups are the first thing you should bear in mind after creating a Magento wholesale site. It is important to classify your customer groups because you must set up different shipping methods for each group of customer. There may be the not-log-in customer, general customer, wholesale customer, VIP customer. Some Magento Extensions that treat them differently. You can charge separated price, tax, or supply different will be helpful for your Magento commercial site are: Minimum Order Amount For Customer Group, Customer group without tax Extension. When your customers choose to buy in bulk, they will expect a particular discount, so you should build a reasonable pricing strategy for them. It is a fundamental principle. If a product is sold to general customer with $10, you only should charge retailers $8, for example. Moreover, many Magento companies take a further step: building tier pricing. It means: if a customer buys 1000 units, he has to pay $10 per unit. If he buys 2000 units, he has to pay $5 per unit. The larger orders numbers he makes, the more interests he receives. Your customers will be encouraged to buy more, and you can achieve higher revenue. Percentage off tier pricing extension can be a practical solution for your Magento site. To reach the most profitable selling, you should request a minimum number of orders for your customers on your Magento site. Customers have to order at least X (a name that you set up in advance) number of product or amount of value when buying in bulk. You might not apply this rule with retailers signing in your Magento wholesale program the first time, but in the long term, you should consider it. If you let a large number of customers buy too small orders at a discount rate, your interest will be influenced. You can try Minimum order amount for customer group extension or Minimum order amount for category extension to see how powerful it is. Don’t let a larger amount of order lengthen the time your customers have to spend to place orders. Try to simplify the place order process to save time for your customers and give them a comfortable buying experience. Magento Wholesale Fast Order Extension can be a suitable solution for you to enhance your Magento wholesale selling by reducing placing order steps and allowing customers to add and purchase quickly in bulk. Nowadays, many Magento Wholesale extensions are created to make wholesale running effortlessly accessible. All of them will bring a better experience to your customers. You can choose which you find most suitable or combine some of them to get the best result.